Artificial-intelligence experts think these moves reflect a key A.I. strength of AlphaGo, its ability to learn from its experience. Such moves cannot be produced by just incorporating human knowledge, said Doina Precup, associate professor in the School of Computer Science at McGill University in Quebec, in an email interview. AlphaGo won three games consecutively against Lee Se-dol last week in Seoul, securing the tournament and $1 million in prize money that Google plans to give to charities. The program, however, lost the fourth game on Sunday when it made a mistake. Lee has warned that the game has some weaknesses. The program started as a research project about two years ago to test whether a neural network using deep learning can understand and play Go, said David Silver, one of the key researchers on the AlphaGo project. Google acquired British A.I. company DeepMind in 2014. The A.I. program uses as a guide probable human moves from its ‘policy network,’ consisting of a model of play by human experts in different situations, but may make its own move when its ‘value’ neural network evaluates the possible moves at a greater depth. Lee Se-dol ponders his next move in Go game against AlphaGo on March 12. It was expected that it would take many years for A.I. systems to beat Go, which is seen as more complex than other popular strategy games like chess and has far higher “branching” or average number of possible moves per turn, Precup said. “The field of A.I. is typically benchmarked using complex games and problems, in this case mastering the game of Go,” said Babak Hodjat, cofounder and chief scientist at A.I. company Sentient Technologies. 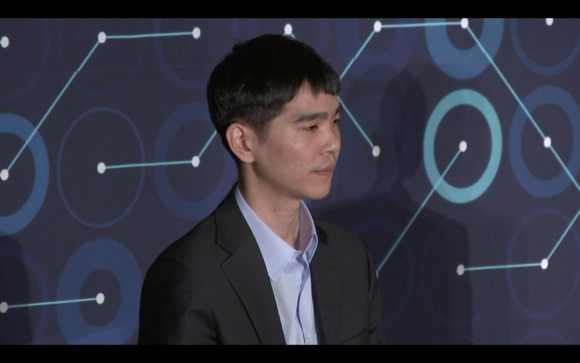 The AlphaGo win marks “a significant high point” in the complexity of problems that can now be tackled using machine learning, Hodjat said via email. AlphaGo follows in the footsteps of the chess-playing Deep Blue computer that beat Garry Kasparov in 1997. Another IBM computer, Watson, won in 2011 in the Jeopardy quiz show. Google is planning to test its A.I. technology in newer applications beyond gaming, such as healthcare and scientific research. “The core deep learning technology is quite good for any time-series pattern classification problem,” Hodjat said. His company has used similar technology for its Sentient Aware e-commerce visual intelligence product. A general-purpose algorithm, capable of self-learning and mimicking reinforcement learning in humans, opens “a future with new possibilities beyond the realm of a human mind,” Yu said. AlphaGo, however, falls short in the ability to understand human natural languages, an area where IBM scores, according to Yu. “By digesting millions of pages of medical journals and patient data, Watson provides recommendations -- from additional blood tests to the latest clinical trails available -- to doctors and physicians,” he said. 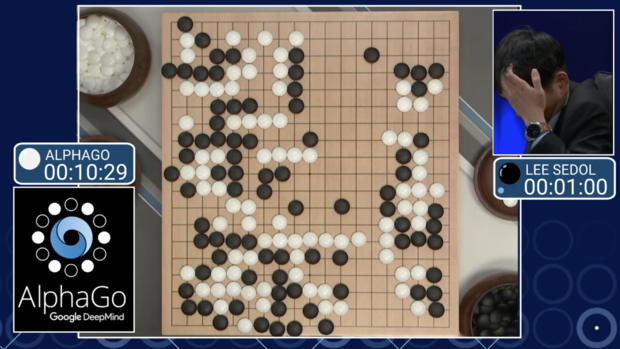 Concern about the loss of the human advantage has figured in the background during the contest between Lee and AlphaGo, with many commenting online that the South Korean was fighting on behalf of mankind in an epic battle with a computer. But experts think that a victory in Go, a deterministic, perfect information game with set rules, doesn’t mean the time has reached yet when machines will overtake humans. “A.I. is quite good now in many cognitive applications that used to be the exclusive domain of humans,” Hodjat said. But it is still years away from achieving the broad and general abstracting power of human intelligence, he added. “One thing that we do not have yet are ‘general-purpose’ A.I. machines, which use the same internal brain to do many different tasks, like play Go, understand text and play violin, for example,” said Precup. This is the next frontier, but we are still quite far from it, she added. Microsoft said on Sunday that it was working on projects in the area of general intelligence. A.I. researchers have been able to develop tools, to recognize words for example, but have not been able to combine the skills effortlessly as humans do, it added.